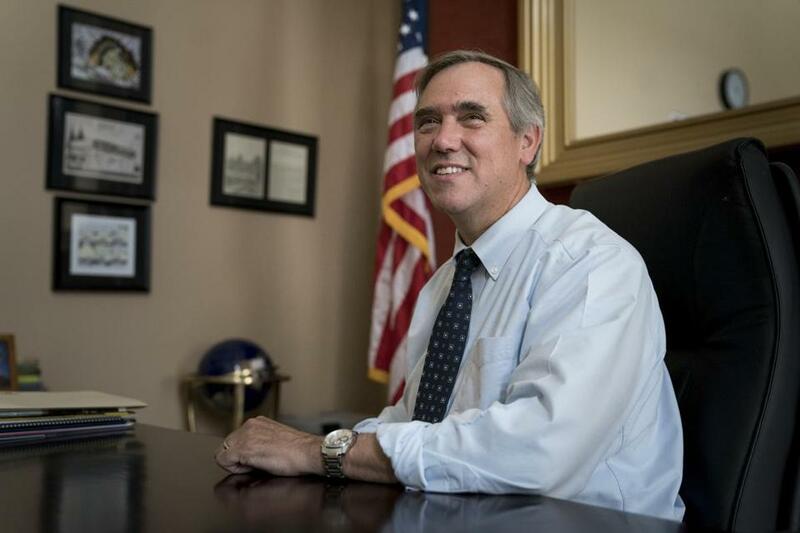 Senator Jeff Merkley of Oregon claimed that the Trump administration transferred nearly $10 million from the government’s disaster relief agency to immigration enforcement. WASHINGTON (AP) — The Homeland Security Department is pushing back against a Democratic U.S. senator’s claim that the Trump administration transferred nearly $10 million from the government’s disaster relief agency to immigration enforcement. Sen. Jeff Merkley of Oregon said the administration was taking money from FEMA’s ‘‘response and recovery’’ to the Immigration and Customs Enforcement agency at a time when Hurricane Florence is bearing down on the Southeast U.S. coast. But DHS officials said the money was transferred from the department’s unspent operational accounts for training, office supplies and headquarters costs. That funding cannot be spent on disaster response, they said. FEMA’s annual budget is about $15 billion.